In the age of cyber crimes, don’t leave your company’s reputation unattended. Protect your web pages and databases with our web application security services! Protect all sensitive information and safeguard your data security. Most effective web application security services. By identifying all potential threats through buttoned up analysis of the applications,we identify all potential threats. Measures are implemented to curb the risk posed by threats. Web application security services are basically about protecting assets. Assets can be a web page or customer database or they can be even a company’s reputation. Security is mainly concerned about understanding the threat. By analysing the applications one can identify potential threats and understand that each threat presents a degree of risk. 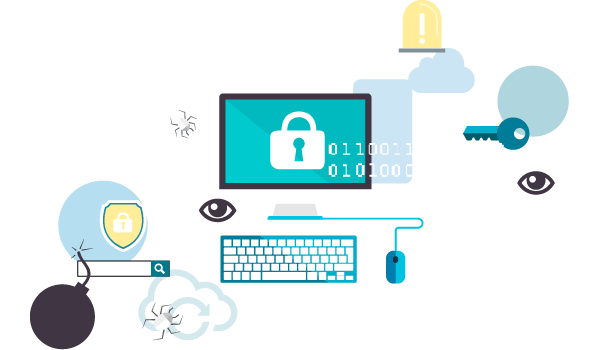 Web application security services are about controlling risk and implementing effective measures. These services are the techniques of protecting networks and data from attacks or unauthorized access that are intended for exploitation. With the growing volume and sophistication of cyber attacks, ongoing attention is required to protect sensitive business and personal information, as well as safeguard data security. How can you build a secure web application? Web security is important because a significant portion of that data can be sensitive information, whether that be personal information, financial data, intellectual property, or other types of data for which unauthorized access or exposure could have negative consequences. It is not possible to design and build a secure web application until you know your threats. The foundation of security includes authentication, authorisation, auditing, confidentiality, integrity and availability. The most difficult challenge in web security is the ever-evolving nature of security risks themselves. Today, the simple approach is insufficient, as the threats advance and change more quickly than organisations can keep up with. As a result, many organisations promote more proactive and adaptive approaches to web security. 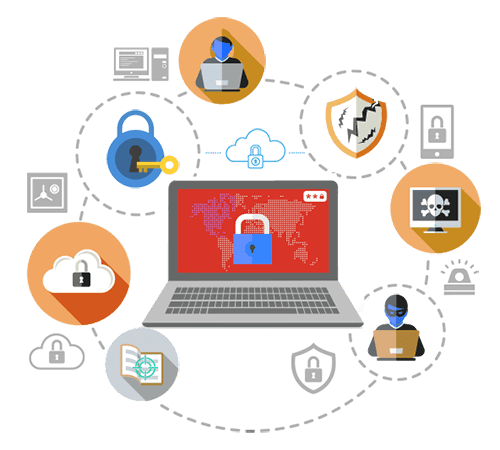 Web security services include identifying your organization’s security issues or the most valuable information requiring protection, Identifying the threats and risks facing that information, and outlining the damage your organization would face. The risk evaluation should also consider the issues that impact the way your company collects, storing and secures data. One of the most problematic elements of web security is the quickly and constantly evolving nature of security risks. The current environment requires the sufficient approach to protect against the dangerous risks. We are the team of specialists in web security, consultancy, and information security. We are a trusted Web security company with a passion for quality service. We provide affable and effective services which reach long way off technology to encompass people, culture, processes and the physical environment, making your business as durable as possible even in the event of the recession. 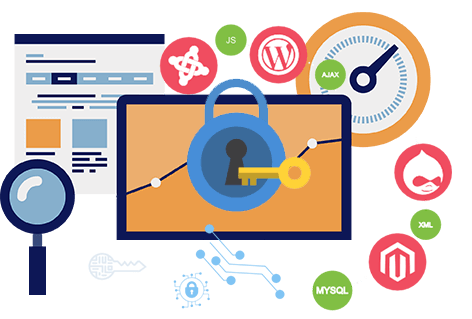 We provide the most effective web application security services.